The Heath’s Mary Doyle came close to recording holes in one at both the 11th and 13th as she beat Jean O’Driscoll 5&4 while Ariana Coyle Diez was seven up before going on to beat Aoife Lowry 4 and 3. The Maguire twins remained unbeaten as Ulster defeated Connacht in their three foursomes matches before going on to run out 9-0 winners. 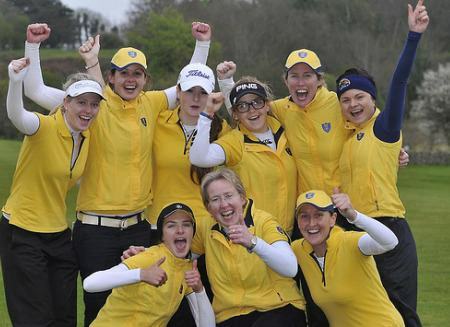 Holders Leinster (pictured last year) drew with Ulster as Munster made a winning start in the ILGU Interprovincial Matches at Castle Dargan. 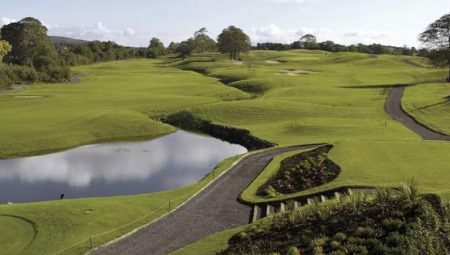 Picture via ILGU.ieMunster crushed hosts Connacht 8-1 to top the table after the opening day of the ILGU Interprovincial Matches at Castle Dargan Golf Resort near Sligo. 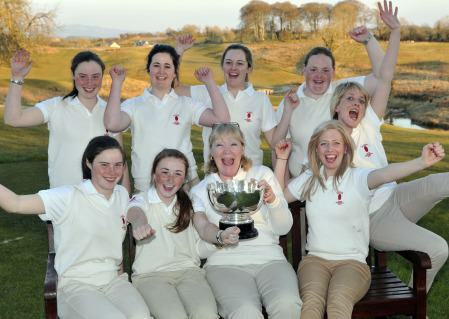 Ulster and Leinster got off to winning starts on the opening day of the Women's Interprovincial Matches at Tramore.